Father’s day is celebrated throughout the country in many ways. What we know about fathers is they have a special bond with their children. These bonds are formed in quiet moments between them and their children. Moments that are not marked with a lot of conversation or activity. 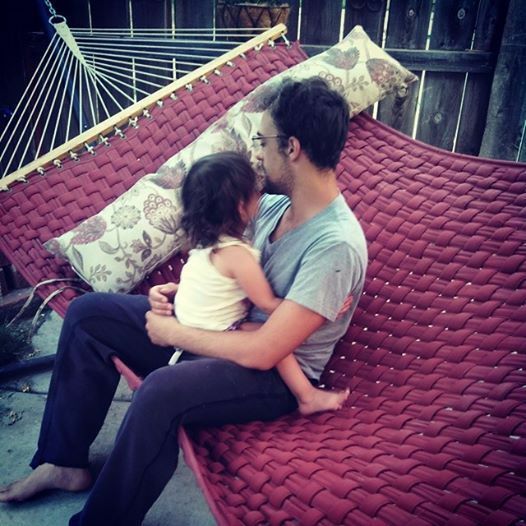 A quiet moment on a hammock between a small child and her dad begins the lifelong bond they will share. The ease of her climbing into her father’s lap where she knows she can get a hug. My best friend growing up was Annette. She had three brothers who would go fishing with her father almost every weekend during the summer. Between the fishing trips they would get into some heated arguments. Sometimes they would be fighting when they left to go fishing. But when they returned from their time on the water, whatever was wrong had been fixed. Nothing really happened out in the boat. Maybe that is exactly what they all needed. Some time just to be still, yet together. On this Father’s Day my wish for everyone is to take some time and just be together.Put aside the cell phones,computers and other distractions. Have a seat on the front porch together and just be together. After all, our time is the best gift we all possess that can be given without a price tag attached. So give of your time and know that is something that will not wither or be forgotten.